Those who are able to erupt, should do it. Those who can't, should keep silent." 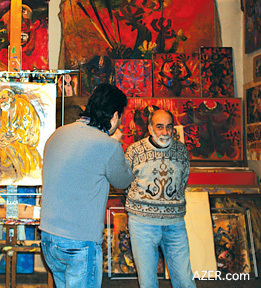 being photographed by his son Elnur, who is also an artist.